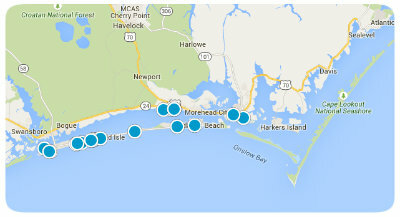 Where is Carteret County and what does it have to offer? Let’s take a look and see. Please take time to call one of our agents with any questions and let us show you some of these very interesting and unique areas. Carteret County has approximately 119 cities, towns or populated areas in it with each area having its own appeal. 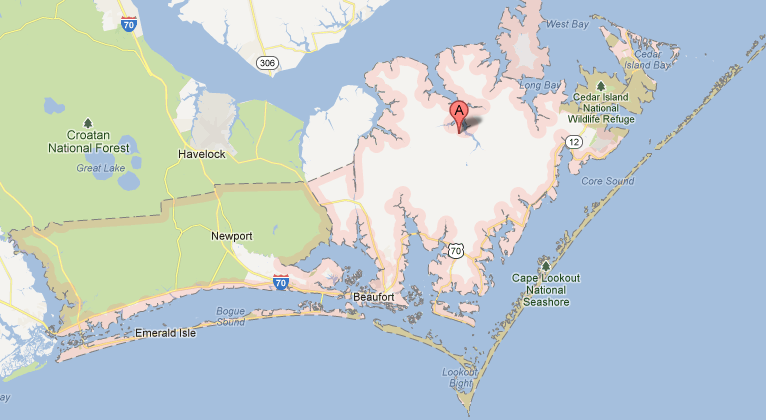 For the most part, Carteret County is located on the coast of NC. Now, let’s take a look at a few. I bet you will find exactly what you are looking for! If you go “down east” from Beaufort, you are going to find several small communities with water views. These places can be a bit on the remote side, but very friendly and neat. The small towns of Atlantic, or Davis or Gloucester can be found as you drive down east towards the ferry. Each one has some beautiful homes and land and water views. As you continue down east you eventually come to the Cedar Island Ferry, which is a wonderful couple hour trip over to the outer banks of NC. This area has a motel, as well as a few small stores and restaurants along with a beautiful beach. In this area you are definitely removed from the “beach scene” but the privacy might be the tradeoff you are looking for. Coming back from Cedar Island and the ferry, you will come to the area of Harkers Island. This small island is a very neat area, with restaurants, stores, marinas, boat ramps and a small beach area along with lots of water front property. It has beautiful old homes and if you ride to the end of the island you can see Cape Lookout and the gorgeous view across the water there and you can go to the Decoy Museum and learn about the history and people of the area or take part in many of the programs there. As you continue on from down east you will come into the North River area and Beaufort. Here the water and property is absolutely beautiful with breathtaking views. The boating here is fantastic and while on land there are plenty of places to go for shopping or recreation. These areas hold festivals during the year which is always a crowd bringer and a lot of fun. Now let’s go over the draw bridge and the high rise bridge and into Morehead City. Here is another beautiful waterfront with docks and boats everywhere as well as another spectacular view of the water and area. The property and land here is beautiful with houses in every shape, size and color. In this area you can be on the ICW towards the waterfront or you can go towards the back side of town and be on the water, which is just as pretty a place as anywhere you will find on the coast. There are lots of restaurants and stores in this area so anything you may need is certainly within an easy reach. After seeing the Morehead City, area, you can take the high rise bridge over to Atlantic Beach. What a view you will have of the water from here. You can be on the ICW or on the ocean with its sparkling water and wonderful sounds of the beach. You can tour Ft. Macon here or go to the public beaches all along this coast line. 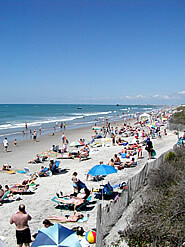 Drive down the beach road and go through many small communities that offer shopping, dining and water. 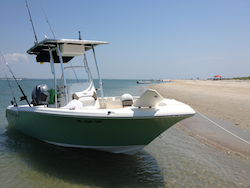 Each one has something to offer with homes and land for sale, on the beach or on the ICW. You can not go wrong anywhere along this area. As you go down the beach you will eventually come to the area of Emerald Isle. This beach is beautiful with lots of homes and condos of every size as well as land for sale. This area offers lots of shopping and dining and entertainment for the young and old. The water here has its own unique color that just lures you to the area and capitulates you. This is a well known area and a prestigious area that appeals to anyone that visits. There is also an area of the coast that goes down Hwy 24. There are many beautiful neighborhoods along the way, some gated and others that are not. There are homes of every description and land that can be bought along here. There are lots of shopping areas along here and restaurants. The water views here are very pretty with good boating and fishing and easy access to all other areas. 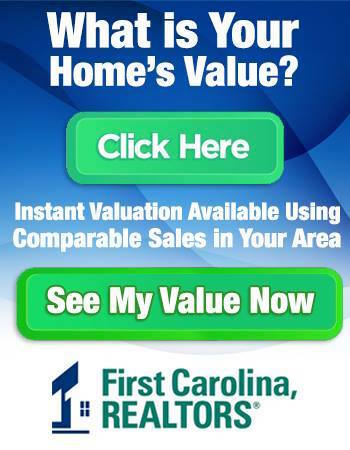 Now that you have viewed this area, give one of our brokers at First Carolina, REALTORS a call at 252-447-7900 and let us show you around. They can assist you with all your buying needs and make the experience a fun and worthwhile one.